Even if you believe you are the least coordinated person alive in Perth, you can benefit from the fun and exciting aspects of dancing ballroom styles and Latin styles. Danza Pasion is your local studio that can offer dance classes for any skill level, whether you have never set foot on a dance floor before or whether you have been dancing for years. Our skilled instructors make dancing fun and easy. You will benefit from the exercise and fitness involved in dancing lessons and will soon be trimmer than ever. In addition, you will meet great people in your class and may form long-lasting bonds. You won’t need to attend our dance classes with a partner — we can help you achieve your goals without making you bring a friend with you. Danza Pasion has operated for about 15 years in the Perth area and features three locations and a variety of classes. 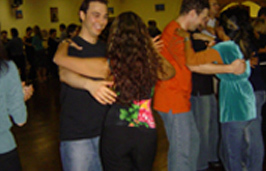 Whether you want to learn the waltz or salsa, we offer you a way to become fit, learn about a new hobby and meet new friends. Along with providing dance lessons, Danza Pasion can work with your business and offer corporate team building activities. Dancing is fun, but it also teaches teamwork and cooperation between workers. These team building experiences can be used as a reward for hard work with a fun day of dancing. You can also use dancing lessons from Danza Pasion to host a dance-off that promotes communication between co-workers and has them work toward a specific goal. Danza Pasion can provide prizes to maximise motivation, but employers may also provide gifts. Your end-of-year company ball can be infused with something new with the help of Danza Pasion. We can provide a spectacular floorshow or begin simple dance classes that night. Your employees will strut their stuff and remember the night forever. Using dancing classes as a reward or as motivation is a nice break from work and will help boost your employees’ morale. 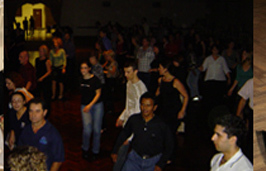 One benefit of dancing lessons and dancing classes in Perth is the effect they have on your mood. If you are bored and sedentary, you are less likely to fully enjoy life. With dancing, you will feel more self-confident and happy while you meet people and learn a new skill. Danza Pasion’s classes are great ways to have fun in Perth while getting some exercise. Rather than go to the gym and start a routine that may bore you eventually, come to a Danza Pasion class and learn some foxtrot steps or cha cha cha moves. You won’t believe how beneficial dancing is to your health. Our instructors make dancing easy, so don’t balk because of the dancing skills you see on television. Everyone starts with baby steps, and Danza Pasion is the studio in Perth that can help you achieve your dancing goals. The next time you find yourself bored on a weeknight and wanting to try something new, head over to one of our three locations in WA.